William Gibbs, a successful businessman and model of Victorian rectitude, built what we now know as Tyntesfield for his large family. He was an example of the new wealth that started to overtake the traditional wealth of the British nobility. He is shown in a photo from around 1862: the cheerful white-haired gentleman, seated with his adoring youngest daughter on his knee. His wife, 28 years younger, is on his right. On his left, seated at the table, is the house chaplain. At Tyntesfield, servants and family alike attended morning prayers. Aside from his grand house, William built and supported several churches in the area. William inherited the family shipping and trading business from his father, who had made some bad calls and gone bankrupt in 1789. Together with his brother Henry, William worked all his life to re-establish the family business. In 1818 they set up a “sacred debts” account to pay off the creditors of their father’s business, although they had no legal obligation to do so. In 1840, over 50 years after the bankrupty, all the debts were paid in full. 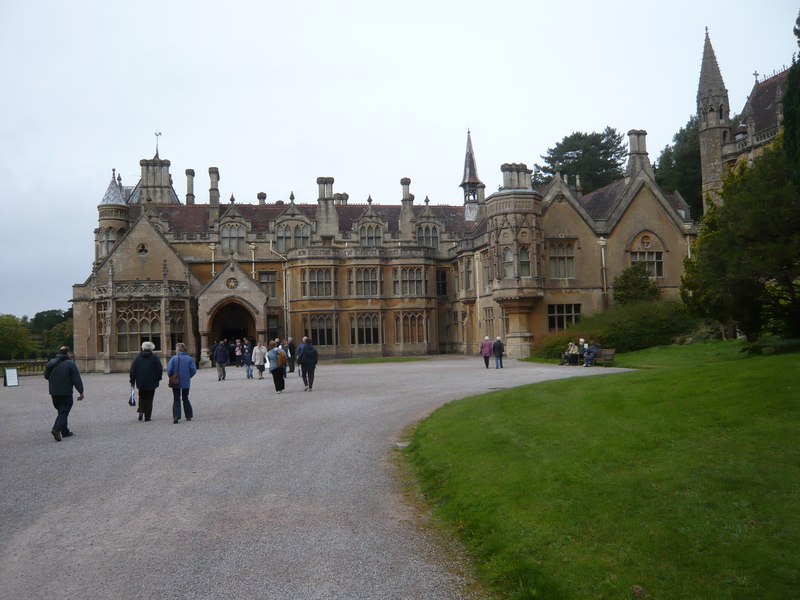 Today, we can visit the home he built, Tyntesfield, one of the most beautiful in England. It evokes happy family life in a lost era. Here’s to all fathers! May they love their families, meet their obligations, and leave lasting legacies. Join me next time for more explorations into the art and history of Europe and the British Isles! This entry was posted in Art, British Isles, England and tagged Blanche Gibbs, Henry Gibbs, Tyntesfield, Victorian family life, William Gibbs on June 16, 2013 by Claudia Suzan Carley. Loved this story – great one in honor of Fathers Day! I must put this castle on my to see list.